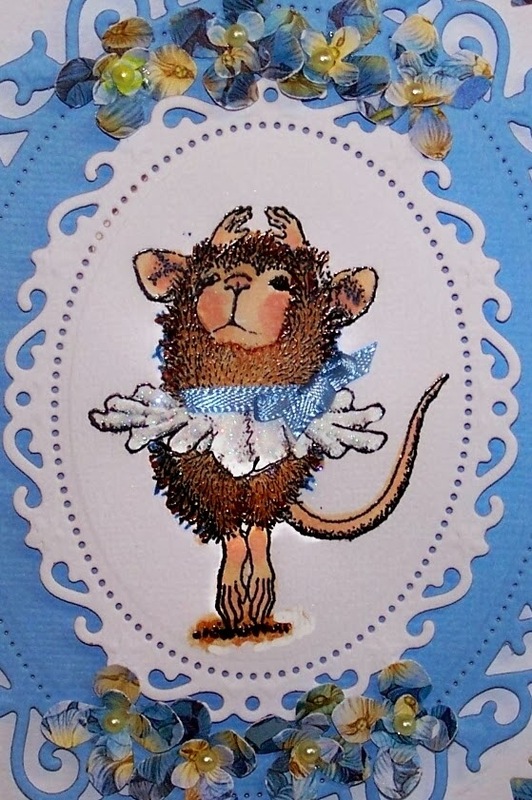 We are at the midway point for the My Favorite Things Challenge # 158 at House Mouse and Friends Monday Challenge. a $10 gift voucher. That's two chances to win! For the mid-week post, I chose "girls in white dresses with blue satin sashes"
You have until Saturday, November 30th at midnight EST to join us. We love seeing what you come up with. 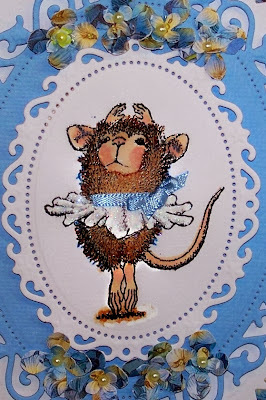 Check out the other design team posts for the midweek at the House Mouse and Friends Monday Challenge blog. Just precious, Sue. I love that Blue Stain Sash. Your choice of oval dies really help to showcase this little dancing beauty. Enjoy your day. WOW what a photo of the Falls, absolutely magnificent!! OH Sue this is just WONDERFUL!!! And PERFECT for the challenge...not to mention PERFECTLY done!!!! I myself have been madly going through my stamps to see what befits the words...I think that I have found a winner! LOL!! This is gorgeous Sue, I love the way you have framed that sweet image. Beautiful colours and fabulous detailing too. such a beautiful card Sue. ps love your blog headers amazing pics.. Wonderful colours for your super feminine card...lovely dies and a cute image. Such a great photo of the Falls, amazing! A gorgeous card Sue, a great design and fabulous papers - I do love little Twinkly Toes and beautifully coloured. Sue, I just smiled from ear to ear when the browser opened up to this adorable mouse. Your creation is simply fabulous. I love all those gorgeous die cuts too! Happy Thanksgiving my friend. Love your gorgeous "Falls" picture. It's a new prospective that is enticing! 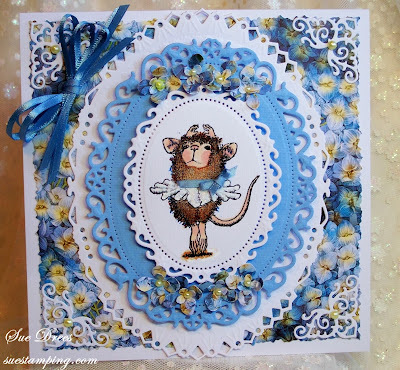 This is gorgeous Sue, such an adorable image and pretty papers, I love your die cut details. 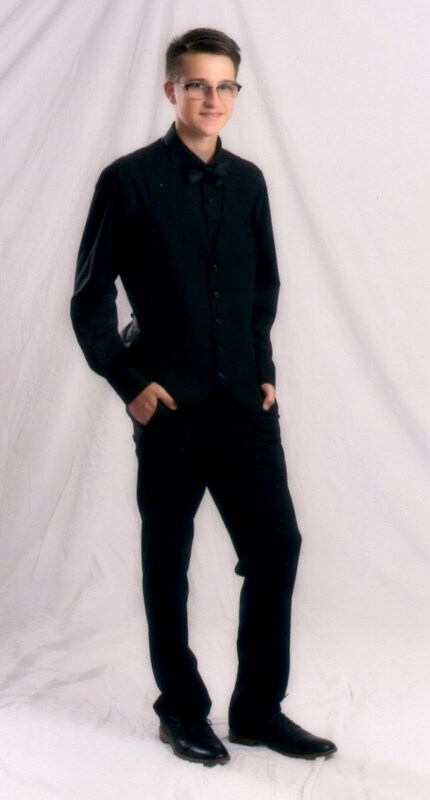 Ahhh, this is so cute! Fabulous house mouse image, great colours and the dies you used are so gorgeous, I am green with envy!